Come on! We know it’s a bit early for another party, but, yes! We’re having another after-work mall tour! 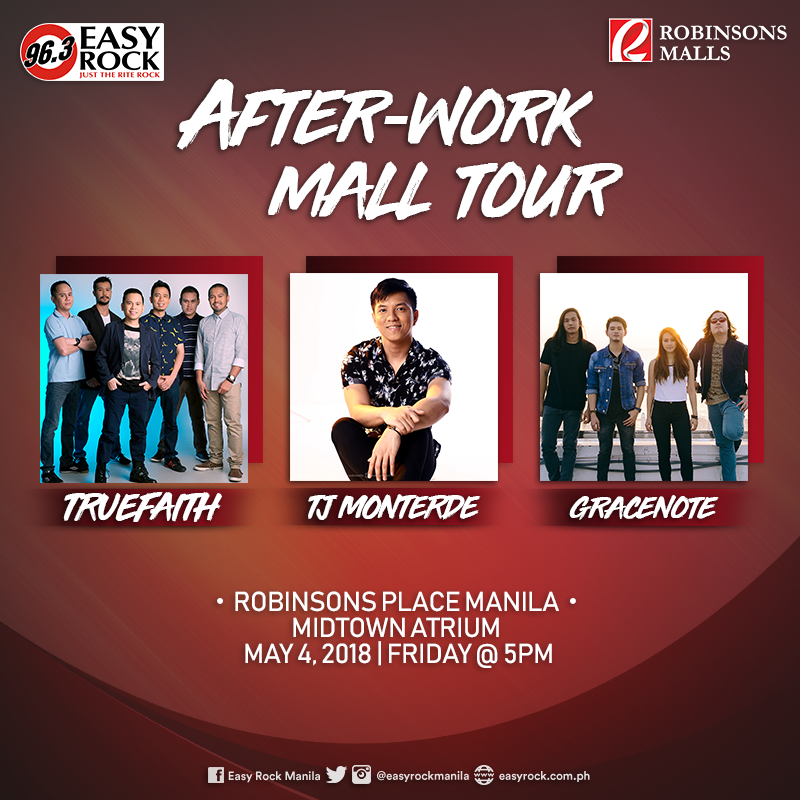 Join Team Easy Rock as Truefaith, TJ Monterde and Gracenote give you good melodies from the heart. So mark your calendars and see you on May 4, 2018, 5pm at Robinsons Place Manila, Midtown Atrium! Just like before, we’re giving you not just good vibes but some good prize! Don’t forget to spread the word and bring your friends too! Because we’re bringing you DJ Samantha, Chloe, Jay, and Nick! See you there, sweetie pie!